Disparities on the Path to Universal Health Coverage presents a retrospective and prospective look at global trends in health financing, with a focus on understanding trends related to economic development and development assistance for health. This report is based on the Financing Global Health (FGH) 2016 study, a yearly effort conducted by the Institute for Health Metrics and Evaluation (IHME) at the University of Washington in Seattle. 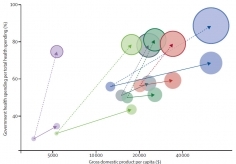 The study constructs and analyzes the most comprehensive country- and global-level database of health spending in the world. Constructing the database requires collecting health financing data from different sources, adjusting those data to make them mutually compatible across geography and time, tracking flows of health funds around the world, breaking down aggregated financing data into policy-relevant categories, and many other tasks. 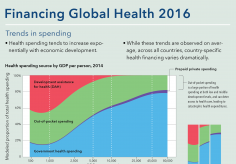 The FGH 2016 study estimates spending on health in 184 countries from 1995 to 2014 and development assistance for health, by source, channel, and focus area, from 1990 to 2016. 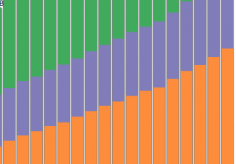 It also uses past trends and relationships to estimate future spending on health in those 184 countries through 2040. 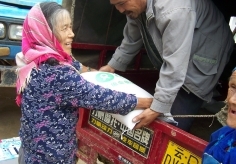 The study’s results are publicly available, as the authors hope that the findings will help policymakers and stakeholders around the world improve health care financing and, ultimately, people’s health. 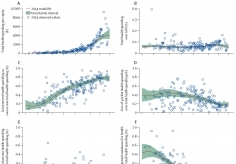 Institute for Health Metrics and Evaluation (IHME). 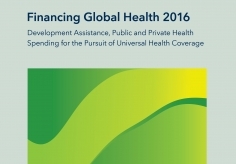 Disparities on the Path to Universal Health Coverage: Findings from Financing Global Health. Seattle, WA: IHME, 2017.